A rescue group credits a concerned public, sharing and the power of social media for the safe return of a stolen kitten. 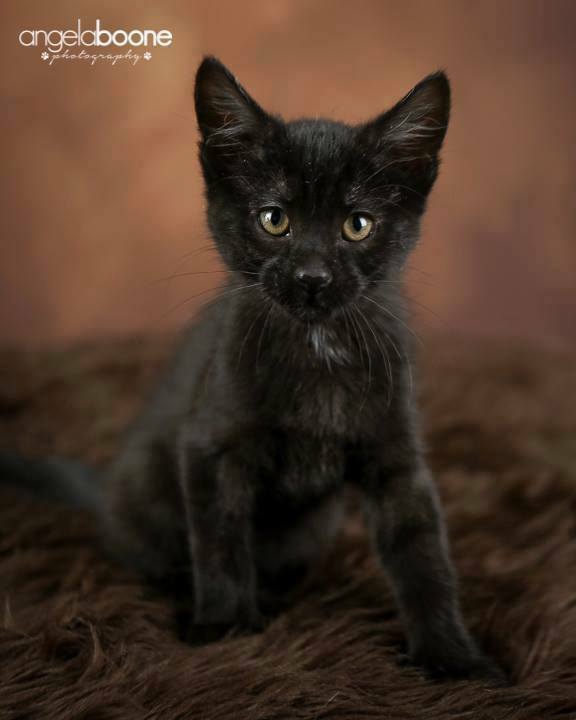 There was widespread worry when a little black kitten named Wednesday was stolen from a Petco Friday, with people concerned about the thief’s motive and the kitten’s fate. The 3 month old kitten was one of Ruff Start Rescue‘s adoptable pets being showcased at a Minneapolis, MN branch of the pet store chain when a man cut the lock on her cage and took her out of the store with him before employees realized what he’d done. Thankfully, the kitten was returned to another Petco location today, along with a note of apology and explanation. 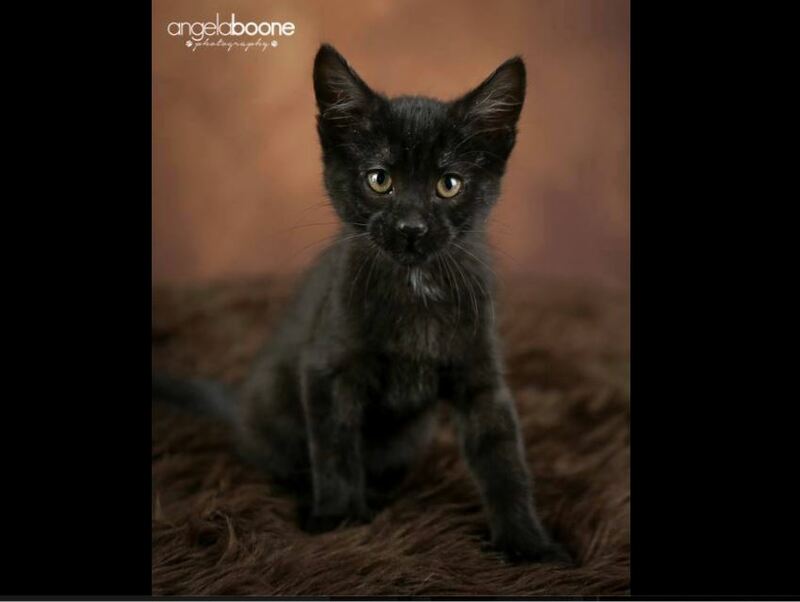 Ruff Start Rescue is crediting the power of sharing and social media for the kitten’s return. Ruff Start Rescue wrote about the theft at Facebook on Friday, saying : Ruff Start Rescue partners with petsmart, Minneapolis to house our cats there for a couple weeks at a time to get more exposure and to promote adoption from rescue. This man went in asking to look at the cats and the manager helped him and then when he said he was done, they locked up the cages and left him to be. Another employee walked by shortly after that and noticed this man standing outside of the cat room holding one of our adult cats, she didn’t understand what was going on and why he had the cat but grabbed the cat from him immediately and went to put him back in the cage and that is when she noticed the lock on the cage was cut with a bolt cutters. She immediately turned around to grab the man and he was gone. This is when she noticed another cage lock was cut and our 3 month old kitten, Wednesday was missing!!! 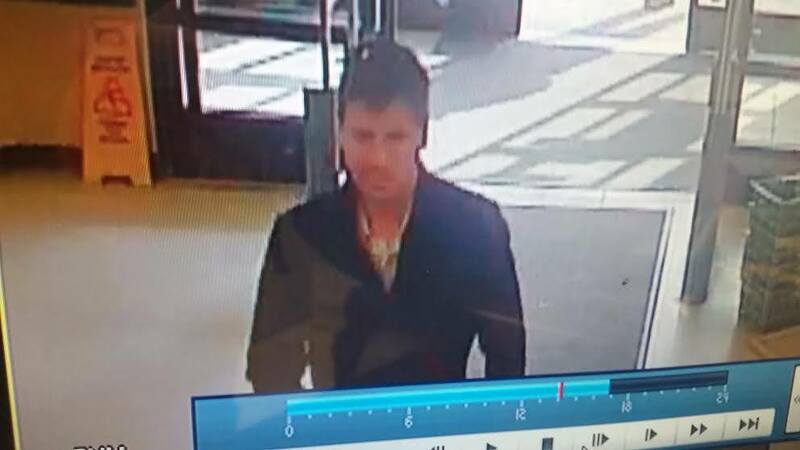 The police have been called and we are working with petsmart to gain access to the surveillance video but we need everyone to help. PLEASE SHARE this mans picture and Wednesday’s picture and keep an eye out for any small black kittens being sold or god knows what?? If you know this man or have any information on Wednesday, please email us! We need to find her!!! Wednesday was returned unharmed less than 24 hours later, and Ruff Start Rescue’s Julie Sandberg Lessard wrote: The power of social media has once again won the battle! Wednesday has been found!!! She was dropped off at the Roseville petsmart in a box with a note saying he couldn’t afford her. I really think our social media pressure forced him to do the right thing. Thank you so much to everyone who shared and prayed for this sweet girl. WDAZ channel 8 news reported on the story, saying the man who took Wednesday had written in his note of apology that he wanted to give her as a Valentine’s Day gift but didn’t have the money to adopt her. Ruff Start Rescue and the many people who shared Wednesday’s photo, along with CCTV stills of the thief, are relieved that she was returned quickly and safely. The rescue has offered their thanks to those who showed concern. Maybe he like me doesn’t agree with the sale of animals for our pleasure, stop the sale of animals as pets ! The kitten was being offered for adoption by a rescue group. It was a sweet thought for Valentines day, but theft is no answer. As far as rescue groups and shelters charging for their pets, they depend on those fees to pay for food, medical care and other financial things in order to maintain their safe places to allow animals to live with care and kindness. I am so glad that Wednesday was returned….what happened to the man…was he charged with theft ? I think what Angela means is that animals should not be exploited by humans to be used as “pets”. That is PETA’s stance if you really take the time and research that organization. Many people who are members of it do not realize this. Personally, I don’t know what I would do without my furry family. My kitties get better food and medical care than most people’s children. *typo* In paragraph 3 line 1 says: the kitten was “returned to another Petco”. This is incorrect as the kitten was returned to a Petsmart which is later stated in the article.